Zinc oxide has been industrially produced as a white pigment for painting since the 1840s. Unfortunately its presence has recently been linked to serious deterioration resulting from reaction of zinc oxide with fatty acids from the oil-based paints. Gillian Osmond is an art conservator at the Queensland Art Gallery did her PhD at the Australian Institute for Bioengineering and Nanotechnology at the University of Queensland with Prof. John Drennan and Prof. Michael Monteiro. Through an ARC Industry Linkage Project, The Twentieth Century in Paint, she investigated the mechanism of zinc stearate formation and its distribution in affected paint samples. 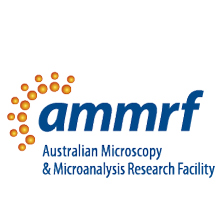 She used a combination of characterisation techniques in the AMMRF at the University of Queensland and at the Australian Synchrotron, including electron microscopy, X-ray analysis and Fourier transform infrared microspectroscopy. Gillian’s findings have been published in Applied Spectroscopy and are part of a collaboration with researchers from JAAP Enterprise for MOLART Advice in Amsterdam, the AMMRF at the University of Queensland and the Australian Synchrotron. For more details, see our full Masterpieces under the Microscope story or AMMRF News Vol 19.